Festive is my middle name. Cozy is too. Let's just call me Astleigh Festive Cozy. For real though, I am in my element during the fall. From my house to the food I make, just about everything is fall-themed in one way or another. And I don't exclude drinks. For husband's birthday, we enjoyed a twist on a classic mimosa. Of course, I was inspired by apple season and our visit to the apple orchard the day before. Instead of the orange juice, I used apple cider. Of course, they were amazing and will be making another appearance soon. 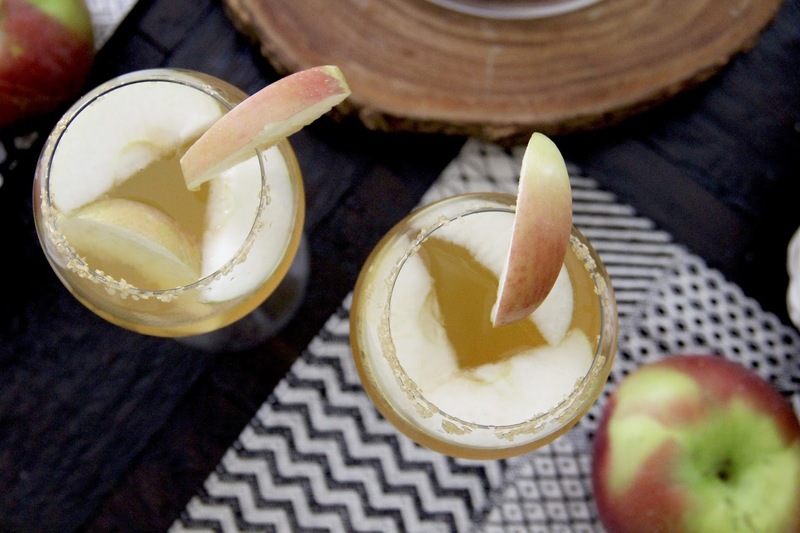 Using an apple slice, cut a slice (not all the way through) and hang it on your glass rim. Swipe it all the way around to get the edge of the glass wet with the apple juice. Then dip the glass into the gold sugar gems. 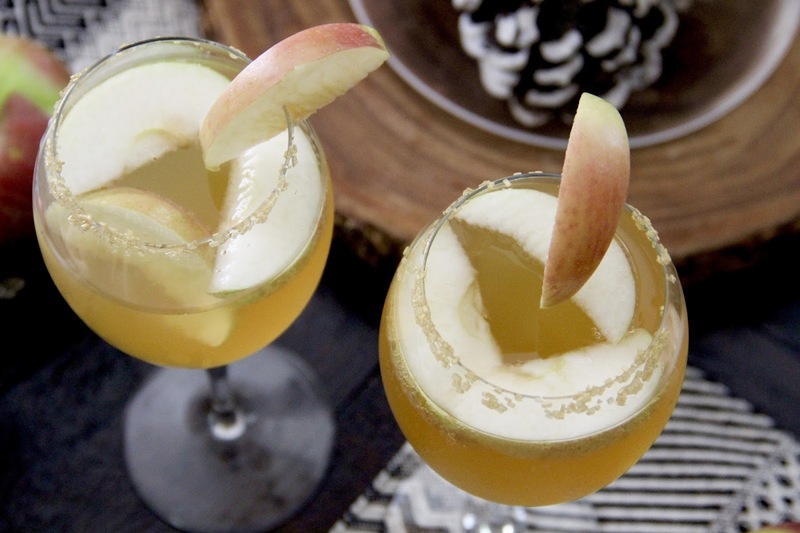 Pour the apple cider into the glass, followed by the champagne. 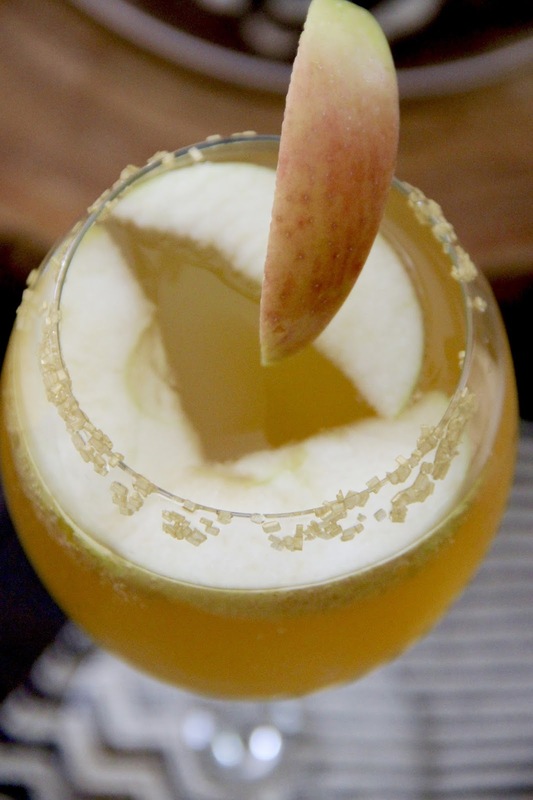 Throw in some apple slices and garnish with one on the rim. 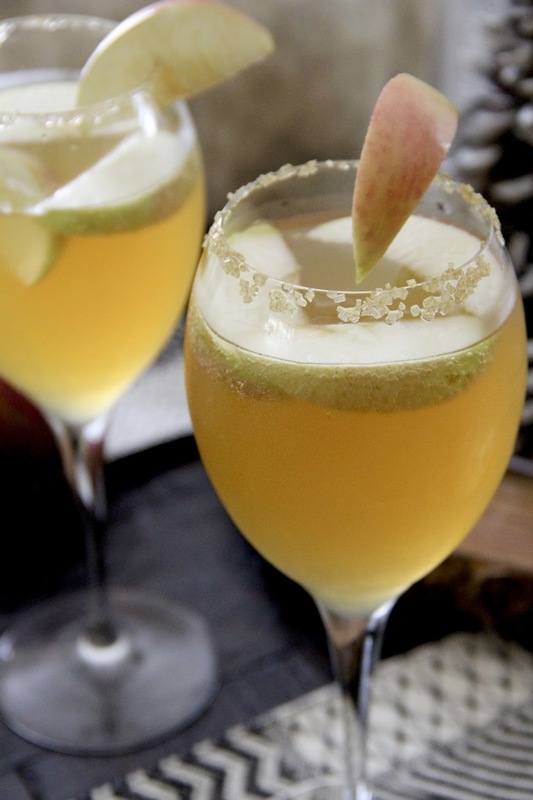 And don't get me started on all the other ways I'll be using apple cider this season. There's a gallon of it in my fridge now just waiting to be used up. I think I'll start with my crock pot apple-stuffed pork recipe. It's supposed to be chilly, and there's nothing better than windows open, a crock pot meal cooking away on a fall day. Am I right?! What else do you use apple cider for during autumn? ?